Herberstein Castle sits on a rock in the Feistritz ravine and thus is not accessible from 3 sides. 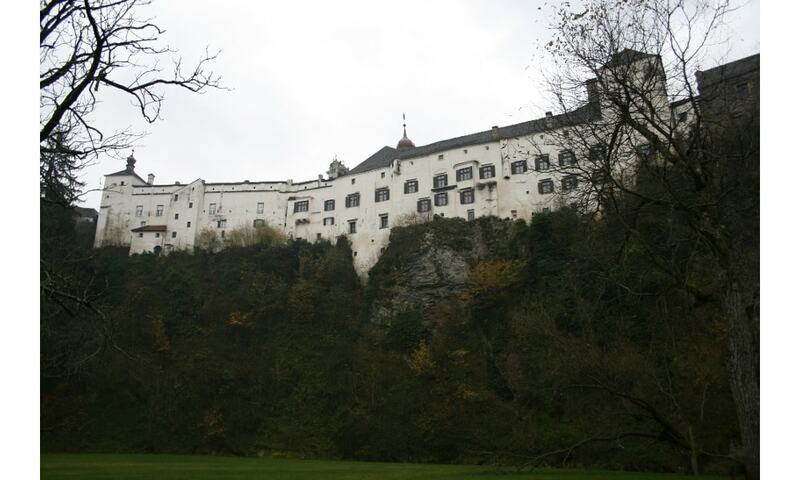 At the same time, the castle is not visible from out of the ravine and was thus naturally protected from attackers. The oldest parts of the caste date from the 12th century. By 1400 the castle was expanded by a massive outer bailey, which was extended in the 15th century a number times. The castle was later transformed into a residential building with Renaissance elements and, in the 17th century the magnificent banqueting hall was built. At the end of 1960 Herberstein was converted into a zoo where visitors could see animals from all five continents. At that time the castle was opened to the public for the first time, too. Today the Herberstein Zoo is very well designed and has the largest cheetah park in Europe.